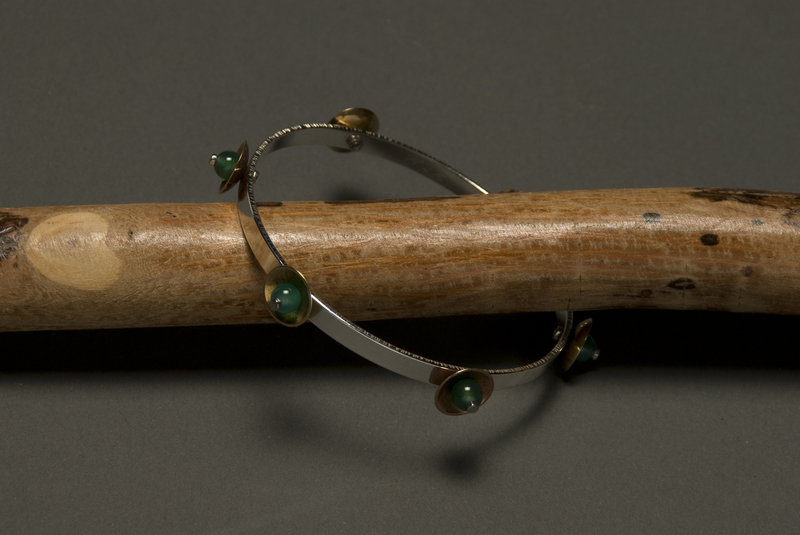 Sterling silver bangle bracelet with green agates in brass and copper domes. Cold-connected with miniature stainless steel nuts and bolts. 2.75" diameter.